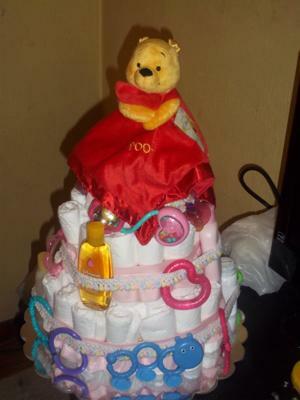 Jennifer submitted this cute cake with a fantastic recipe! 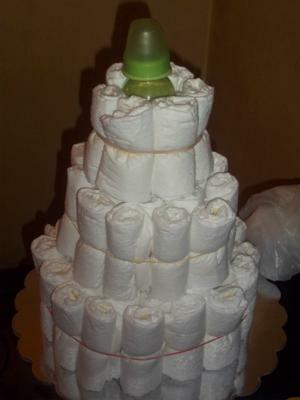 Take a look below and check out Jennifer's helpful ideas! I also have little baby booties to add on the day of the shower and artificial flowers too! Hopefully I'll be able to post those pictures! Jennifer you have shared some great ideas. 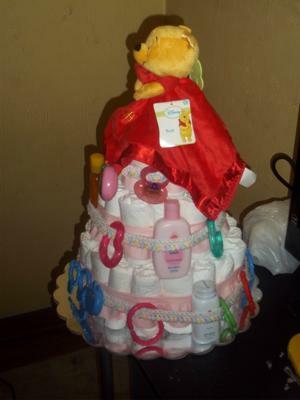 It's a really beautiful diaper cake with such a detailed recipe. I really enjoyed your post. 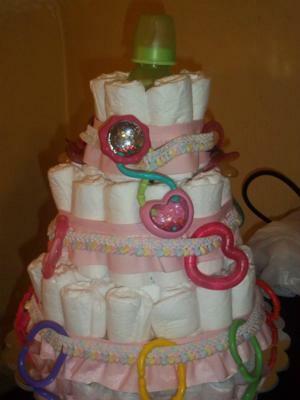 All the four diaper cakes are so cute. The Winnie pooh and the one containing counting and remaining two, all looks great. Thanks for sharing such wonderful ideas!